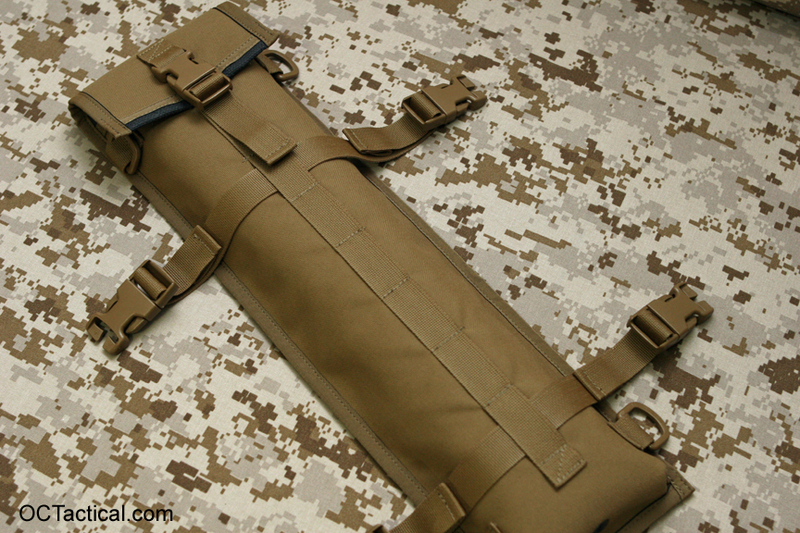 Here’s some shots of a custom M249 spare barrel bag I did for a friends Nephew. 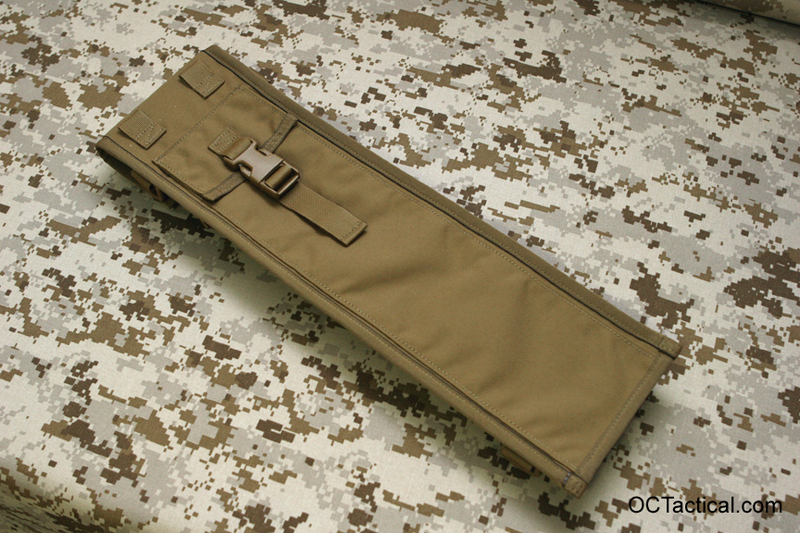 Having spent time on both a M60 and a SAW I know how worthless the normal spare barrel bags were and annoying to hump. They work fine at ranges, but that’s about it. The only real user input I had on this one were the dimensions of the barrel and that it needs to be able to quickly attach and detach from this ruck. So I basically built the bag I wish I had. The outside is 1000D and the lining will withstand up to 1800 degrees. I folded the edges of the lining over both ends to avoid any melting normal binding would get when putting in a hot barrel. 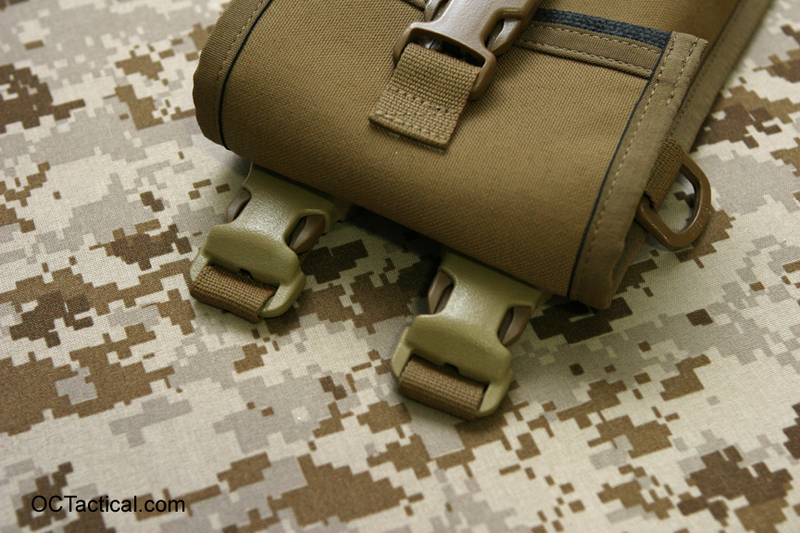 It can attach by running the cinch straps on the ruck through the row of webbing on the front, using the supplied cinch straps that can attach to the molle webbing on the ruck, or by using some Down Range Gear QASM Vertical Connectors that Chris was kind enough to supply for free for his fellow Marine. The bottom corners were a little tricky when it came to binding because it got so thick, but I wanted to give the body some depth to make the bag as narrow as possible. Most barrel bags are all flat, which makes it a lot easier to produce, but also a lot wider then it needs to be. Not a problem if you’re the guy who never has to carry it. 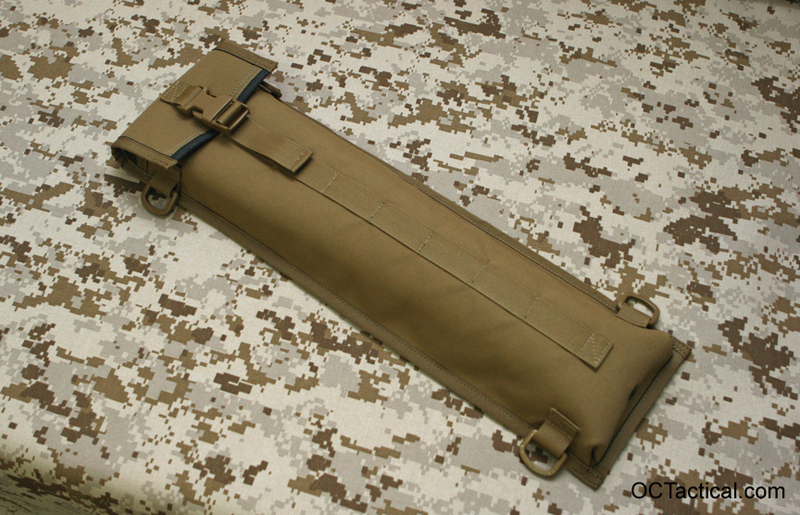 This one is narrow enough to attach to the side of an assault pack. There is also 4 plastic D-Rings for attaching a sling once it’s removed from the ruck. 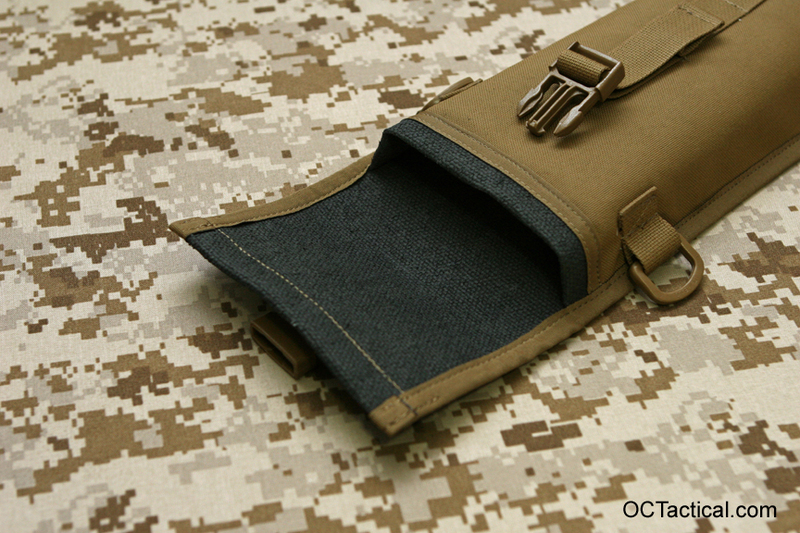 On the back is a pocket for holding the sling, cinch straps, vertical connectors and whatever else you want. 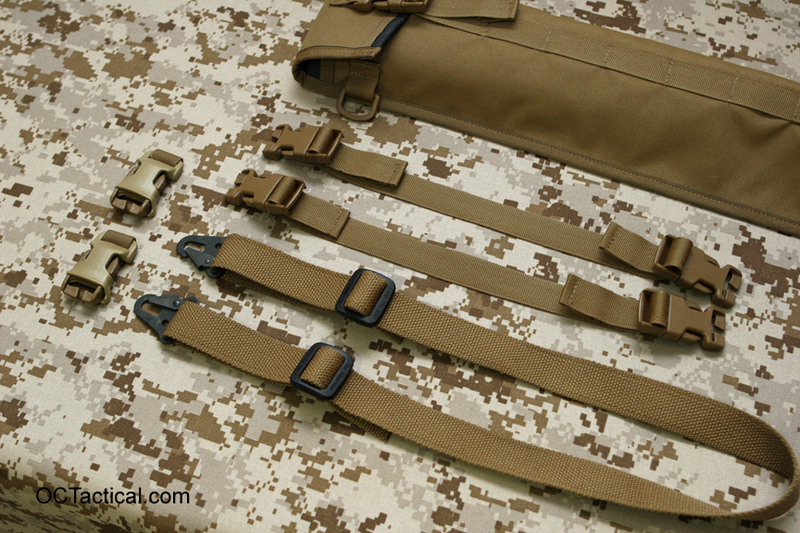 Another nice thing is that all the buckles can be easily replaced in field if they break. This entry was posted in Custom Work, New Products. Bookmark the permalink. Wow wish I had one of those back in the day. The issued bags were total crap! What size buckles are you using? Are you going to be selling these? If so, can I get the dimensions, price, and estimate time of delivery? Also, maybe incorporate dual shoulder straps for a stand alone bag. The plan is to continue making these on a custom order basis for now. Don’t know about a price yet. The material used for the lining is expensive so I’m looking into alternatives to find the best and most cost effective material without sacrificing durability. Buckles are 1″ and approximate dimensions are 21″ x 5.75″.